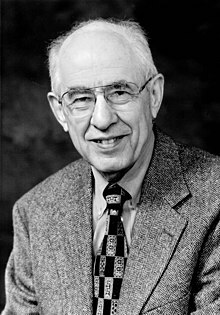 Hilary Whitehall Putnam (July 31, 1926 - March 13, 2016) was an American philosopher who has been a central figure in analytic philosophy since the 1960s, especially in philosophy of mind, philosophy of language, and philosophy of science. He is known for his willingness to apply an equal degree of scrutiny to his own philosophical positions as to those of others, subjecting each position to rigorous analysis until he exposes its flaws. As a result, he has acquired a reputation for frequently changing his own position. in What is Mathematics, in Hilary Putnam (1979). Mathematics, matter, and method. Cambridge University Press. p. 60. ISBN 0521295505. He’s a quantum philosopher. I can’t understand him and his position at the same time.